Care services provided by a professional caregiver also provide peace of mind for families and other loved ones. The decision to hire a professional caregiver can be a stressful and confusing but we are here to help. Our care managers have all been in your shoes and we offer a free in home consultation to give everyone involved in the seniors care a chance to meet us and ask questions. We have a strong on call program and are available 24/7 to answer any questions or concerns. We offer flexible care with no long-term contracts. Contact us at (940) 368-9230 to learn more about how Ray of Sunshine Senior Care is the right choice for your flexible hourly care needs. 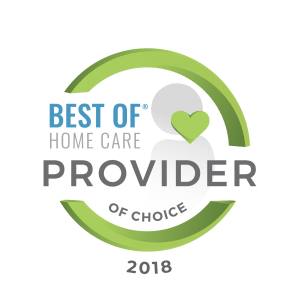 Professional care services available throughout the Dallas Fort Worth metropolitan area including the communities of Denton, Hickory Creek, Lake Cities, Argyle, Flower Mound, Highland Village, Lewisville, Southlake, Trophy Club, Little Elm, Frisco, the Colony and many more. Thank you for sending Leslie to us. Mom loved her, I loved her and the dog loved her!! It is not easy to relay in words the magic of joy, friendship, caring, nurturing, fun, laughter and love that Bonnie brought into our brothers life! She got the old, sedentary guy moving, laughing, and having a good time!! Bonnie allowed him to be himself. She accepted him for who he was. I will be forever grateful to her, as will the rest of his family, for bringing joy into his life in his final days.